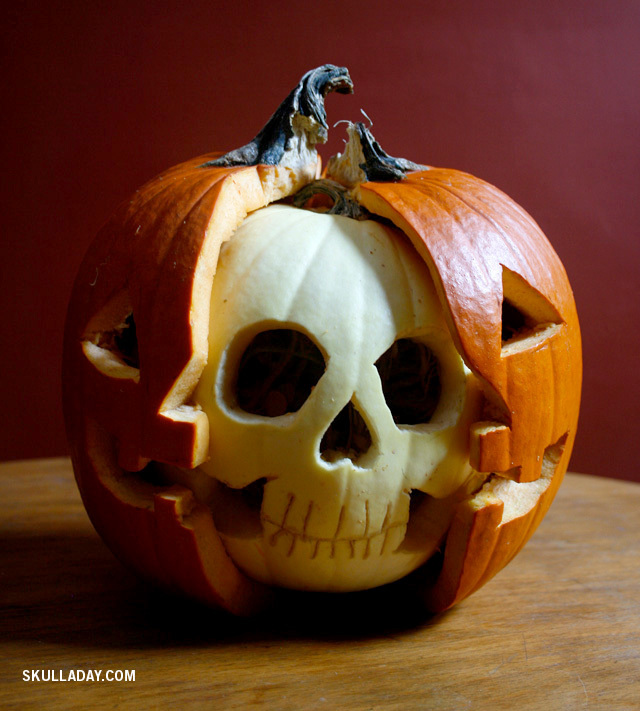 OK, I call BS on this: I don’t think pumpkins really have skulls. I think infamous skull charlatan Noah Scalin really just carved a skull on a white pumpkin and stuck it inside a transected, you know, regular pumpkin. I didn’t just fall off the cucurbit cart, Noah, really.